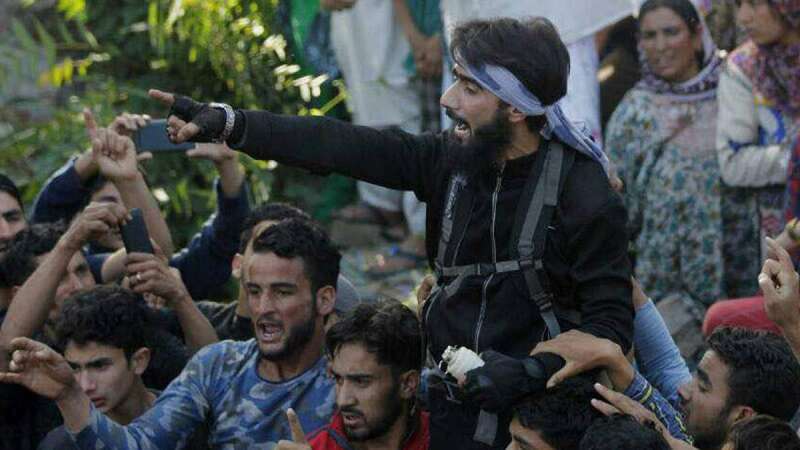 Srinagar : Hizb-ul-Mujahideen terrorist Danish Ahmed on Wednesday morning surrendered before security forces in Jammu and Kashmir, suggests a report by ANI. Danish Ahmed was last seen attending the funeral of Hizbul Mujahideen terrorist Sabzar Bhat's funeral in Tral, Awantipora. During an investigation of the video, it was learned that Danish was a resident of Kulangam in Handwara, he is also a third-year student of B.Sc at Doon P.G. College of Agriculture Science and Technology, Dehradun. According to reports, Danish was also involved in stone-pelting incidents at Handwara in 2016.